vitaQuakeII v2.1 by Rinnegatamante - PSVita Brewology - PS3 PSP WII XBOX - Homebrew News, Saved Games, Downloads, and More! 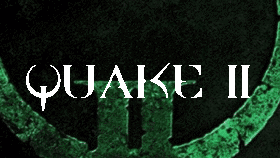 Quake II port for PSVITA with network support (both LAN and multiplayer), savestates, soundtrack, sounds and all standard features of Quake II. It also has some extra features like controller vibration when the player get hit on PSTV and a resolution rescaler.